We just recently got these great LED string lights from RTGS. This set has 60 lights on the string and come warm white. 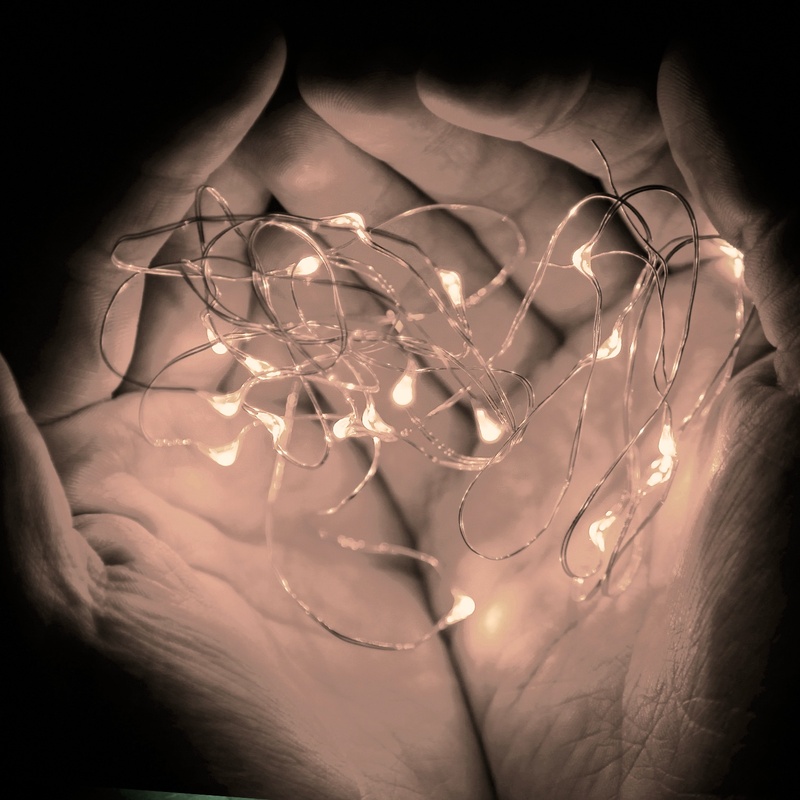 These are very thin light weight string lights that are embedded with very small LED lights. These are very different then a traditional string of lights. These are very thin and almost like a wire cord. They can be used just about anywhere and since they are so thin they are really easy to position and use in a variety of locations. They are also waterproof and can be used in water. These are really fun to put in the bottom of the pool or a fountain at a party and make a very beautiful decoration. They are really easy to use. Install the batteries (they take 6 AA batteries, not included) and then unwind the string. Place it where you would like it to go and then enjoy!! I love them. I have used mine a couple of different times for entertaining at parties. I plan to use them in the pool this summer at a pool party and can’t wait to see how that goes. Very pretty and bright lights. We offer 100% RTGS Products Satisfaction Guarantee and 2 Years Warranty. RTGS Products is Exclusive Designer, Manufacturer and Seller of Our RTGS Lights. Unfortunately Other Sellers Use Our Trademark and Pictures Illegally to Sell Their Low Quality Products. PLEASE DO NOT SUPPORT THAT !!! We just recently got these great LED string lights from RTGS. This set has 60 lights on the string and come in four different colors (red, green, white, and blue). 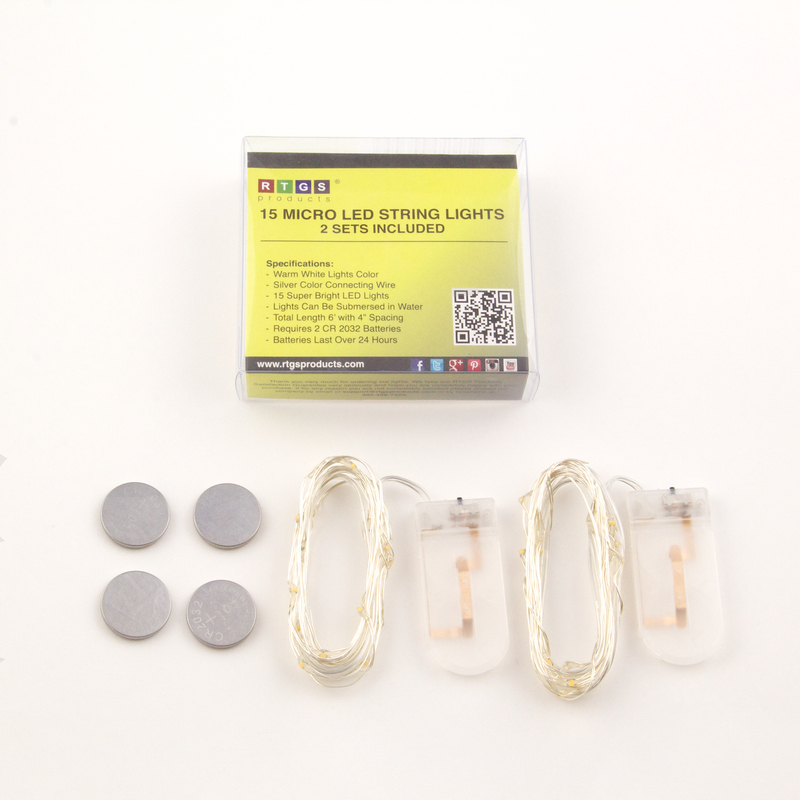 These are very thin light weight string lights that are embedded with very small LED lights. These are very different then a traditional string of lights. These are very thin and almost like a wire cord. They can be used just about anywhere and since they are so thin they are really easy to position and use in a variety of locations. They are also waterproof and can be used in water. These are really fun to put in the bottom of the pool or a fountain at a party and make a very beautiful decoration. They are really easy to use. Install the batteries (they take 6 AA batteries, not included) and then unwind the string. Place it where you would like it to go and then enjoy!! I love them. I have used mine a couple of different times for entertaining at parties. I plan to use them in the pool this summer at a pool party and can’t wait to see how that goes. Very pretty and bright lights. 60 Super Bright Green Color LED Lights on 20 Feet Long Ultra Thin Silver Wire with 4 Inches Distance Between LED Bulbs and 20 Inches Clear Cable Between Wire and Battery Box. TOTAL STRING LENGHT OVER 21 FEET !!! We just recently got these great LED string lights from RTGS. This set has 100 lights on the string. These are very thin light weight string lights that are embedded with very small LED lights. These are very different then a traditional string of lights. These are very thin, this set has two cables that are covered in plastic but they are very bendable and easy to work with. They can be used just about anywhere and since they are so thin they are really easy to position and use in a variety of locations. They are really easy to use. This set comes with an AC/DC outlet that you can just plug in, so I love this because I don’t have to keep changing out the batteries. Place it where you would like it to go and then enjoy!! I love them. I have used mine a couple of different times for entertaining at parties. Very pretty and bright lights. 100 Super Bright Warm White Color LED Lights on 32 Ft Long Silver Ultra Thin Silver Wire with 4 Inches Distance Between LED Bulbs and 10 Ft Clear Cable Between Wire and Transformer. TOTAL STRING LENGHT OVER 42 FEET !!! 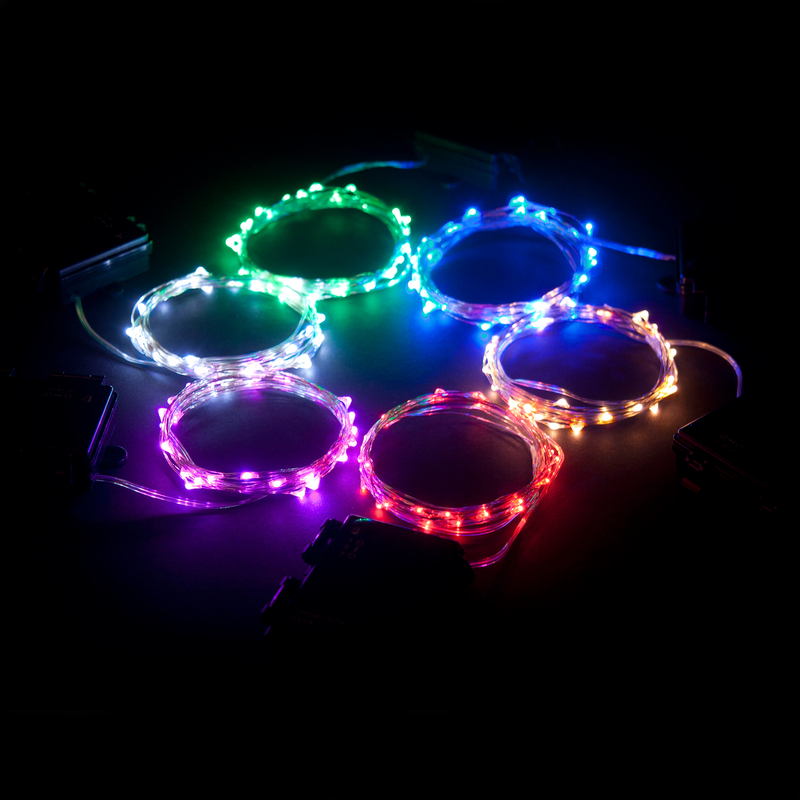 We just recently got these great LED string lights from RTGS. 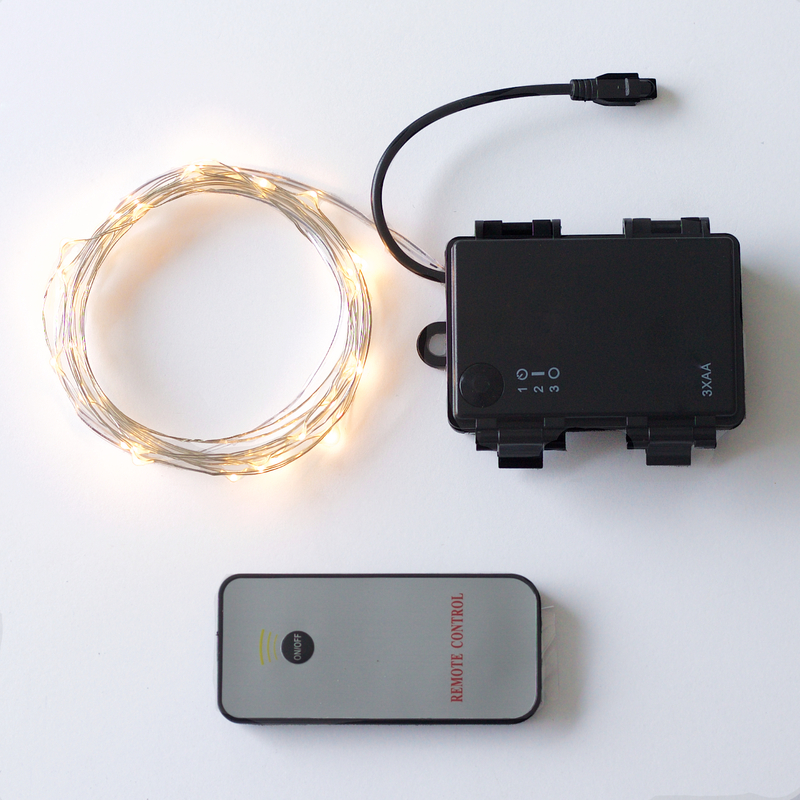 This set has 30 lights on the string and come with a timer mode and remote. 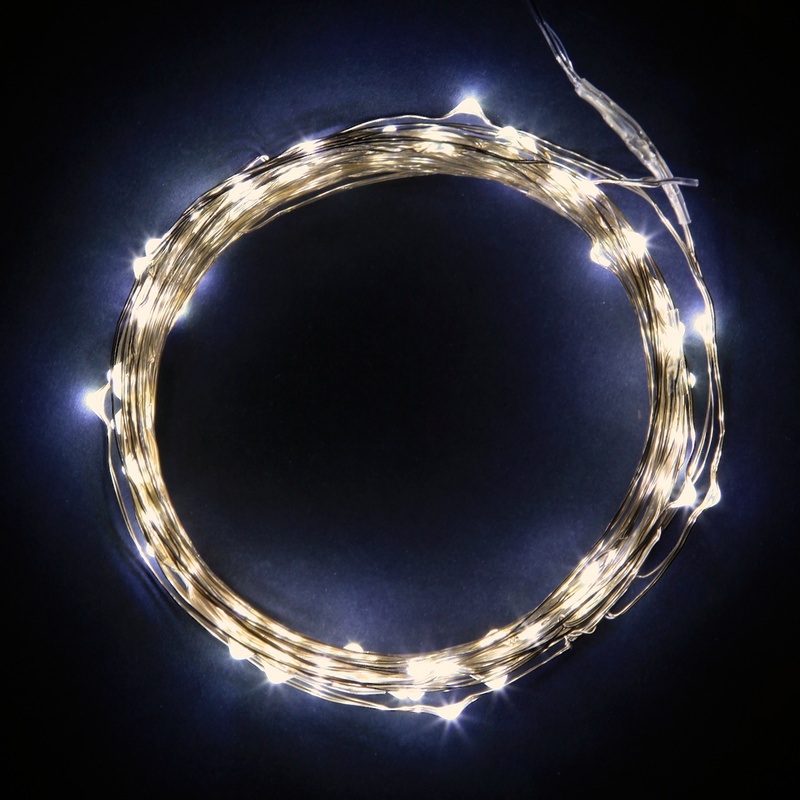 These are very thin light weight string lights that are embedded with very small LED lights. These are very different then a traditional string of lights. These are very thin and almost like a wire cord. They can be used just about anywhere and since they are so thin they are really easy to position and use in a variety of locations. They are also waterproof and can be used in water. These are really fun to put in the bottom of the pool or a fountain at a party and make a very beautiful decoration. They are really easy to use. This set has a timer mode, if you press the power button once it comes on and will turn off automatically after six hours, if you press it twice they are on and won’t turn off till you turn them off, and a third press turns them off. It also has a remote that has the same functions, this is great if you hang them up high or want to turn them on without having to go to the lights. Install the batteries (3 AA Batteries, not included) and then unwind the string. Place it where you would like it to go and then enjoy!! I love them. I have used mine a couple of different times for entertaining at parties. I plan to use them in the pool this summer at a pool party and can’t wait to see how that goes. Very pretty and bright lights. 30 Super Bright Warm White Color LED Lights on 10 Feet Long Ultra Thin Silver Wire with 4 Inches Distance Between LED Bulbs and 12 Inches Clear Cable Between Wire and Battery Box. TOTAL STRING LENGHT 11 FEET !!! Ultra Thin, Bendable but Sturdy Wire with LED Lights is Totally Submersible but NOT BATTERY BOX!!! PLEASE SEE PRODUCT DESCRIPTION BELOW FOR MORE DETAILS. 15 Super Bright Warm White Color LEDs Lights on 5 Ft Long Silver Ultra Thin Wire with 4 Inches Distance Between LED Bulbs and 12 Inches Clear Cable Between Wire and Battery Box. TOTAL STRING LENGHT OVER 6 FEET. Newest Clear and Small Battery Box That is Easy to Hide Requires 2 CR2032 Batteries (INCLUDED !!!). When used with new batteries it offers over 24 Hours Non Stop Operating Time and Much Longer When Used with Breaks. We just recently got these great LED string lights from RTGS. These are very thin light weight string lights that are embedded with very small LED lights. These are very different then a traditional string of lights. These are very thin and almost like a wire cord. They can be used just about anywhere and since they are so thin they are really easy to position and use in a variety of locations. They are also waterproof and can be used in water. These are really fun to put in the bottom of the pool or a fountain at a party and make a very beautiful decoration. They are really easy to use. They come with the batteries needed to use them. Install the batteries and then unwind the string. Place it where you would like it to go and then enjoy!! I love them. I have used mine a couple of different times for entertaining at parties. I plan to use them in the pool this summer at a pool party and can’t wait to see how that goes. Very pretty and bright lights. Lights Have Over 20 Years of Life Span and Use Fraction of Energy Needed by Regular Light Strings. They are also much bright er than Starry Lights or Fairy Lights. 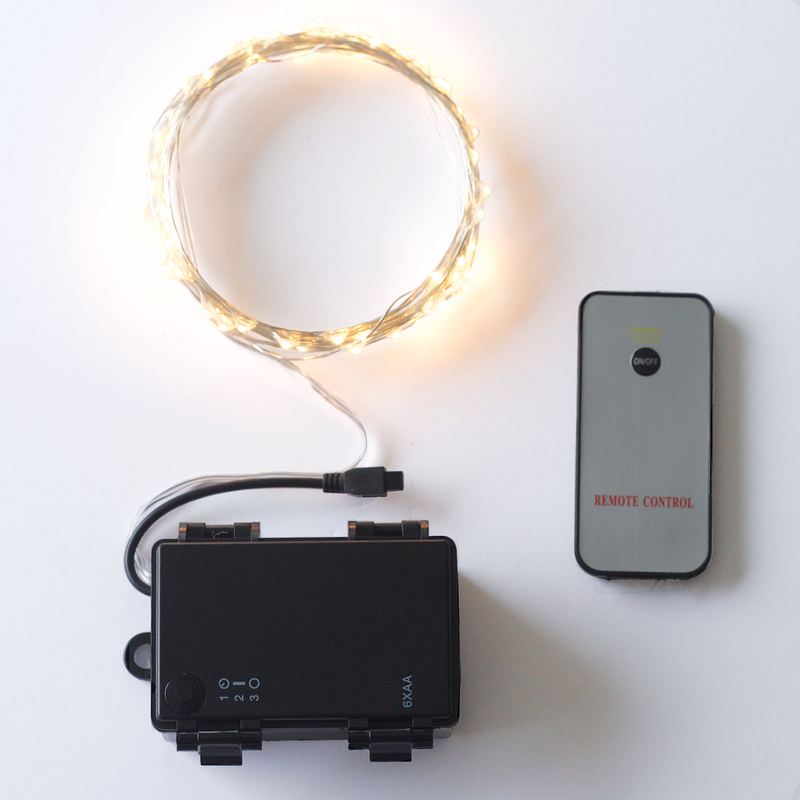 NEW FEATURES [NEWEST VERSION] These 15 LEDs Micro LED Battery Operated String Lights are perfect for use as a lighting addition to any decorative project. Very thin wire hosts 15 very small LED bulbs that are about size of the rise grain and are intensely bright. With steady 360 degree viewing angle they illuminate in every direction. When used with new batteries they last for over 24 hours. They are easy to hide, give beautiful true color and use fraction of energy needed by regular light strings. These lights are also defined Starry String Lights or Fairy Lights. You can purchase these string lights on their website!